In today’s day and age, it is important for companies to find ways to make their products more marketable. This is especially so as the world today is becoming more and more competitive. 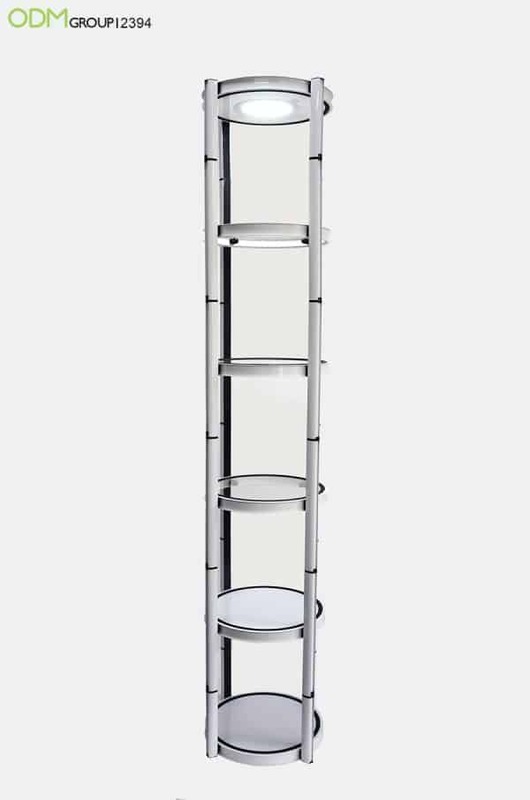 With that in mind, we will explore a great solution in this blog, a Twister Tower Display! These displays will certainly benefit your establishment. Through the use of these displays, your company can show off your in-pack offers, on-pack offers, and complimentary gift with purchase and promotional products in a more visually appealing way. 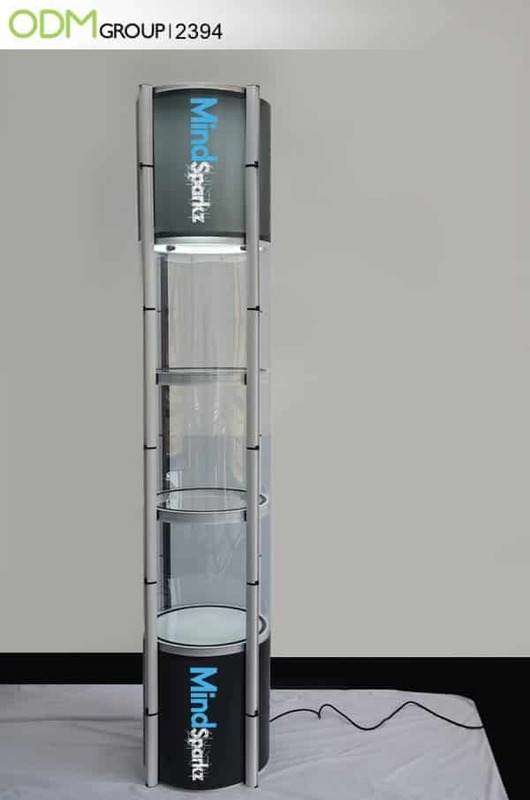 Are you ready to take your brand front and center with this twister tower display? So, what are the good points of using a Twister Tower Display? Prominence: Using such a display is great, due to its visibility. The display is tall, which makes it particularly visible to any potential customers. This would help to attract them to your brand products, and divert attention away from any competitors. 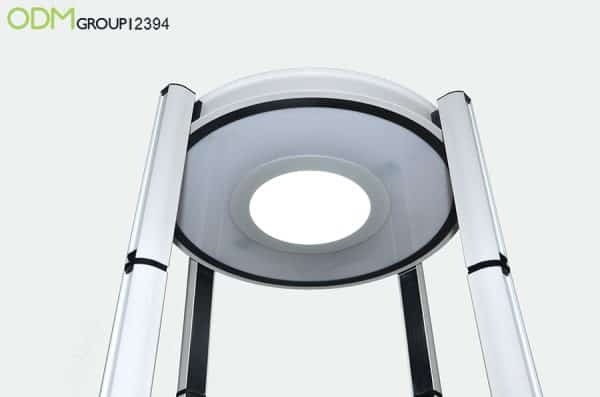 Furthermore, the display has an LED function, which would be especially beneficial in bringing attention to your products, especially in a darker setting. Durability: We also like the use of this display because of its durability. The display is made out of an aluminium frame, with acrylic plates. Durable materials ensure that the display will last a long time. Isn’t it a great way to maximize your marketing budget? Portable and Collapsible: The twister tower display frame is collapsible and it comes with a bag to keep it safe from the elements. Portability of the display allows for easy transportation and set up between events. 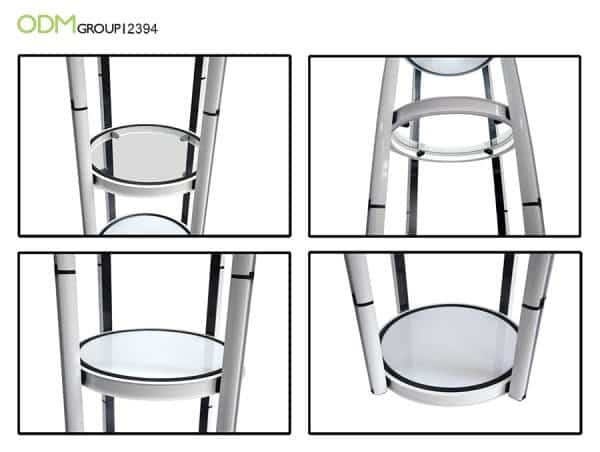 Versatility: A twister tower display is also extremely versatile, and is great in many ways. They are ideal for showcasing cosmetics products where items need to look high-end and expensive. Such custom POS display is also ideal for collectible promos to show off the design of their exclusive collectible merchandise. If you’re joining trade shows, such display case will help highlight your best products, thereby pulling in more visitors. Branding: The base and the upper part of the frame has big enough space to imprint your brand name or logo on. 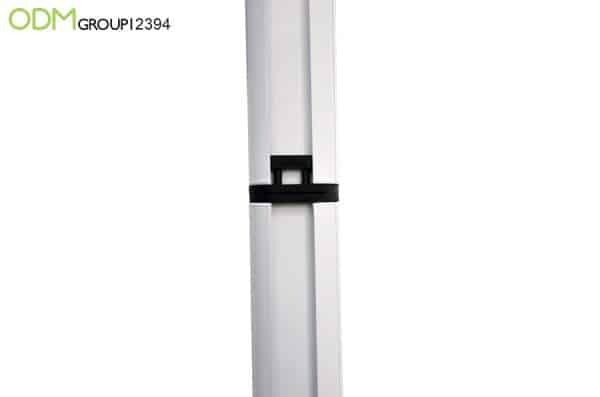 The LED lights will light up your branding, giving it a sophisticated, modern touch. With its flexibility and functionality, it is therefore, an excellent marketing tool that will help your company to drive sales and increase profits! Moreover, pushing the boat out with high-quality POS displays will help you make the most out of every campaign and event. With such bespoke design and high quality materials, it might cost you more than the average POS display unit, however, its durability and flexibility offset initial manufacturing cost. Also, lead time for such item can be relatively long, depending on your specifications. So, could your company do with a twisting tower display? If so, feel free to send in an inquiry for product code 2394. Here at The ODM Group, we specialize in manufacturing unique promotional products, as well as creating promotional product packaging and POS display units of any size and make. So, you can be sure that your company will be safe in our hands for any project! Here are some related blogs for you! Here are some tips to consider when creating your very own pos counter display! An interesting POP display by Nestle! A great outdoor display by McDonald’s that certainly catches the eye! Here’s a way to use displays for CNY promotions!